Evil Eye bracelet that I bought from Etsy, this also has a sideways cross that I first saw on Laura Lollipop 26 this is for good luck and will keep me safe. Return to Tiffany's Lapis Lazuli blue beaded bracelet which I got off himself for Christmas (OK so I picked it out and ordered it online myself but you know men). Beaded friendship bracelet from Tiffany's, a couple of years ago while on holidays in America (well everything is better value there) I got matching bracelets for myself and by bestie (her what sometimes posts as Redser). I never take this off. For my last birthday Redser got me this fab key charm from Thomas Sabo (she knows that I love keys), which I of course had to put on my friendship bracelet. On my right wrist I wear one of my large watches, I love watches with large faces. A couple of years ago my brother (best brother in the whole world might I add) was in Las Vegas for a "Hangover" type week (funnily enough it was the same time that the movie came out). As it was around the time of my birthday I had asked him to pick me up one of the newly released Tiffany Keys, even though he doesn't really remember most of the week and when shown pictures he still cant really remember what happened he dragged himself (stinking of drink I am sure) to Tiffany's and got me my favourite birthday present ever: my large Tiffany key. This means the world to me and is constantly with me. From a young age I was quite obsessed with keys, I thought they were cool and although I have gotten some looks for having a large key hanging around my neck, I love it (my friend's little girl asked why I had a key around my neck...kids). When I received a Brown Thomas gift voucher from my friends last year I decided to pick up a little baby Tiffany key with the Tiffany blue accent. I think they make a great combination. You might wonder where did I get my obsession with keys from - it's a bit weird right? Years ago if you remember, Janet Jackson used to wear a key on her earring, I thought that it looked deadly and took my diary key and hung it from my ear ring (in fairness I wouldn't actually write in my diary, as brill as my brother is he would have been all over a diary). If you read the blog you know I recently had the pleasure of seeing Janet live in Dublin (she didn't have her key ear ring though). 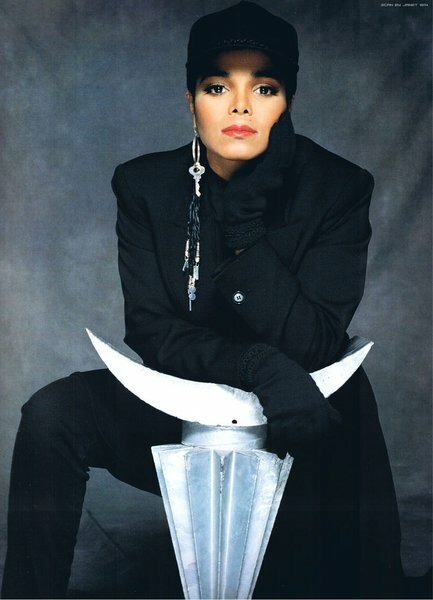 When I was researching Janet's key it turns out that Michael gave her the key when she was a child and she kept it close to her by hanging it on her ear ring. Its a nice symmetry that my key that was inspired by Janet's was given to me by my beloved bro. Do you have signature jewllery or do you mix it up?